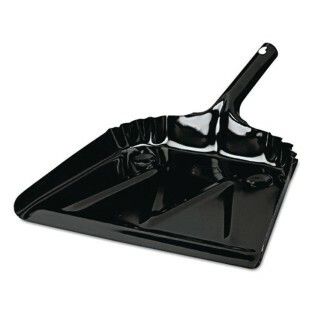 12" wide, heavy-duty metal dust pan. One-piece construction. Baked-on black enamel finish. 20-gauge steel.